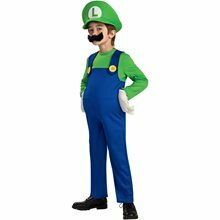 Luigi Deluxe Child Costume.Includes: Jumpsuit, Gloves, Hat, Mustache and Belly.Available Size: Toddler, Boys - Small, Boys - Medium, Boys - Large. (See Size Chart For More Information)Material: Polyester. 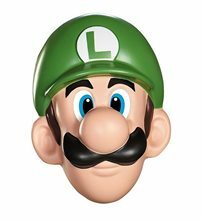 *Shoes Not Included.Luigi, the green-wearing half of the Super Mario Brothers, is a Nintendo hero in his own right. This deluxe costume for kids includes a jumpsuit, gloves, hat, mustache and inflatable belly. Super Mario Brothers Mario Toddler/Child Costume.Includes: Blue Jumpsuit, Hat and Moustache.Available Size: Boys - Small, Boys - Medium, Boys - Large. 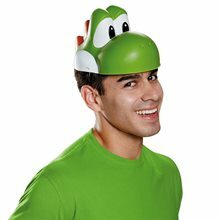 Mario Brothers Mario Hat Mustache;Use our Super Mario Accessory Kit to bring your costume to the next level. You will transform into one of the most easily recognized video game characters of all time! 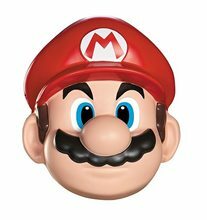 Our Super Mario Accessory Kit includes a replica oversized hat in red with a red M within a white circle and a large, bushy black fake moustache. 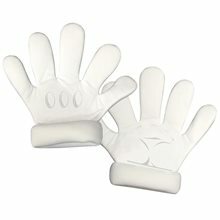 The Mario mustache has a self adhesive back for easy application. 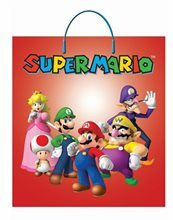 All you need to do with our Super Mario Accessory Kit is pair it together with a red long sleeved shirt and blue overalls to complete your Nintendo Super Mario Brothers costume! 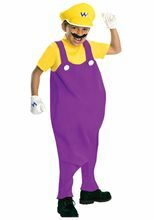 Mario Brothers Wario Delxue Child Costume;This deluxe child Wario costume is a great Super Mario Bros character costume for Halloween. This Wario costume for kids is a licensed Nintendo costume.